What you are essentially saying is 9M-MRO could be anywhere, in fact if the perps want you to thinks its in the SIO on the 7th arc thats where not to look for it (paradoxically). @KenS (banned from this blog) has proposed a decoy plane with the ISAT login for 9M-MRO which would effectively satisfy your dual BTO/BFO spoof. Possible but a bit far fetched. Would require very committed hijackers/state sponsors. – Ghislain (and others) had repeatedly asked Inmarsat for the RAW DATA from the transmissions, but the request was refused because some of it was proprietory info that couldn’t be divulged. Instead the cleaned up version has been released. So we don’t know if someone high up in the UK, acting on the request of the USA, got a hold of the Inmarsat RAW data and fudged it a bit before handing it over to the scientists for analysis. – I have heard the line ‘no one outside of Inmarsat apparently knew that the firm was logging BTO values,’ repeated over and over in the media. This information was discussed with an ICAO working group assembled after the loss of AF447. The working group presentation was given to more than 130+ reps from many countries, agencies, and companies. I appreciate the work of the scientists who did the analysis of the satellite data. However, the media oversold Inmarsat’s analysis as some kind of spectacular new scientific breakthrough when infact the groundwork was already laid post-AF447. Unlike Jeff Wise, I DO believe the plane is somewhere in the SIO, but I am increasingly doubtful of the satcom data after the RE-BOOT. I think the perps (Ukrainian passport holders?) did switch off the SATCOM completely, but the REBOOT happened accidentally, or didn’t happen AT ALL! The credibility of USA and UK are on the line because it was the White House which first informed the world the plane had crashed in the SIO, based on Inmarsat data. The fact that the SATCOM rebooted from a ‘cold’ state suggests that it could have been from another aircraft which flew a route much later to simulate the same signals. @ Jeff Wise, it is not nihilistic to be skeptical of the data. Ghislain Wattrelos lost more than half his own family including wife. I don’t doubt his sincerity. @CliffG, Your claimed beliefs are utterly illogical. You “believe” that the plane is in the SIO, but that the evidence in the case has been manufactured. If the evidence has been manufactured, how could it be possible to form any plausible account of what happened? How, for instance, do you know that the SDU rebooted at all? Also, nihilism has nothing to do with sincerity. I don’t doubt that Ghislain has suffered a terrible loss and that he earnestly wants to solve the mystery but unfortunately his approach is self-defeating. Wow, I must have missed the Obama announcement; I thought it was the Malaysian PM who had first dibs on this. If the USA were first, then this could be a game changer. If I remember correctly, immediately before the INMARSAT release the search area was going to be from Sumatra across into the Souther Indian Ocean. Perhaps we need to revisit the rational behind this cancelled search? I believe the SIO is the most plausible end-point of the flight because most of the evidence EXCLUDES other locations. However, the BTO data (from after the REBOOT) appears to show a direct flight to the SIO, which seems just a bit too convenient for the narrative sold by the MSM back in 2014. Perhaps, the plane did go towards DIEGO GARCIA, and the US didn’t want the world to know that fact, so it asked Inmarsat to ‘adjust’ the BTO values to show the aircraft crashing far away from DG. Whatever the case may be, I have come to the realization that your fanatical belief about the NORTHERN route, and the convenient manner in which the IG ‘kicked’ you out of their inner circle suggests to me that both YOU and IG (and now Vance) are all pushing the BTO values as a given and unquestionable. Now that the search effort is coming up empty, I am beginning to question everything, just as Ghislain Wattrelos did. You spoke about talking to people in Kazakhstan back in earlier blogs. Did you, and was there any evidence or sightings in the area? The beauty of the INMARSAT data and the 7th arc, is that it preclude any serious thinking by investigators of any area outside it; this, of course, supported by the dodgy wreckage finds This does not mean that if the INMARSAT data is completely bogus we will never know happened to MH370, only that other methods must be now be employed to find the plane and hopefully get to the truth. You interviewed Dr Neil Gordon in September 2016 and published a very good article in Aviation and expanded on it in a blog article. He was clearly the person that motivated DTSG (as team leader) to use a Bayesian Monte Carlo method known as “particle filter” as the exclusive approach to defining the undersea search zones. There are many statistical methods that could have been used – but Gordon was a recognized leader for this specific method. This was the only method used and with some questionable assumptions to accommodate the method. Inmarsat started by using a very different method but noted in an article that “other members of the international investigation team developed far more sophisticated models …’ which is the Neil Gordon particle filter. Since Inmarsat did not have “skin in the game” it is understandable that they could defer to DTSG and just provide technical support regarding BTO and BFO technical issues. The initial Inmarsat route search method essentially connected each point on one arc with each point on the next arc and many would require speeds in excess of Mach 0.9 and be impossible. Using this search approach probabilities could be assigned to different paths through the seven arcs. Not a simple approach, but very different than the particle filter method. This was the approach used in the first few weeks to define the air search zones. And it does generate both north and south paths. They dropped the north path because they did not report radar sightings or wreckage. No check of hangers. While the DTSG particle filter resulted in very pretty probabiliy maps, there were very bad assumptions made as documented on p60 of their book. A model is only as good as the assumptions and the infinite fuel assumption is a killer. They completely ignored the mostly independent problem of the time of flight from the route of flight. Maybe the filter could not deal with the two mostly independent problems. But given that Gordon before he left UK to joint DTSG was a recognized international leader for this method. But why bet $200 million one one method? WHo drove this and why? It just seems everyone accepted the DSTG model. Given that Australia was paying for the search and other participants may have just left it up to DTSG – some may have not wanted it found. Jeff, you most likely have a better feel from discussions with Gordon as to why a $200 million search relied on only one modelling approach. I won’t question whether the plane went north or south, but based on the modelling I would not agree that all of the simulations represent the best locations around arc 7. The fact that MH370 has not been found doesn’t mean that it is not in the SIO within max glide range of arc seven. A live operator could have turned 90 degrees from the long route great circle and glided 100 miles. There is too much face saving to reopen the modelling. Expanding the band to 100 or more miles on each side of arc 7 would be far too expensive unless the crossing point could be significantly narrowed. Nobody has really addressed the issue that the fuel was consumed (with errors) at some location along arc 7. This is a different problem from the route the aircraft took to get to the same location. I think there might be an inside story there about how all of the decisions were made by all of the players involved in deciding on the search area. Your Neil Gordon articles dealt with some of it, but who actually drove the decisions and directed the search and what kind of due diligence was used? @Hank, The error the DSTG made was in assigning a 0 percent probability to the data having been tampered with, even though a mechanism by which this could have happened had been clearly laid out. Fuel modeling is not particularly germane, in my opinion. It could conceivably shift the center of the heat map but there is no chance that the plane could have wound up somewhere significantly different from the zone they elaborated. It makes me truly sad to see how much time and mental effort has been wasted by people on this site and elsewhere twisting themselves into knots in order to cling to a conclusion they reached long ago using faulty information or logic. I would strongly encourage anyone who still thinks the plane is in the southern Indian Ocean to try to find something else to occupy themselves. Take up a sport, or pay more attention to a loved one. It’s over; move on. I will take that as a minor outbreak of frustration-itis. It is not over Jeff, not by a bloody long shot. We are all frustrated. We have been down more rabbit holes than most of us even imagined existed before this started. So far, we have come up empty, but we now know that there must be more of those rabbit holes, we just haven’t found the right one yet. I presume you are familiar with “the dog with a bone” analogy. I am surprised that your site has been going for so long, particularly with the low regard you have for people that believe that the aircraft is in the SIO – as I believe. I found much of the discussion on your blog to be interesting over the years with different perspectives. IMO the ATSB/DTSG model used very bad assumptions and the resulting heat maps were useless. The original Inmarsat approach for the air search and the drift analysis supports a more northern location for crossing arc 7. I don’t question the method used by DTSG, but many of the assumptions were very poor. I won’t bother you with any future comments. You clearly believe in an elaborate hijack conspiracy, which makes a good story, but I can’t get to any purpose for some group doing it. It is easier to believe in suicide or a mechanical failure. X marks the spot, or not! Those pesky maritime bandits – check out this Opytno Konstructorskoe Buro 01 patch. Not so sure if the Altantuya affair is un-connected to MH370. Altantuya grew up in St.Petersburg, Russia from 1978-1990, and she is fluent in Russian, English, Chinese & French. She went to modeling school in Paris. She worked as a translator, and possibly a teacher. She is known to have mixed with the former Prime Minister and Defence minister of Malaysia, so clearly she had access to high profile people. – How did she gain their confidence? Why is the model bad? Why are the maps useless? Please enlighten me. Take a review of the paper written by the ATSB and make your points with real arguments. No wishy-washy please. 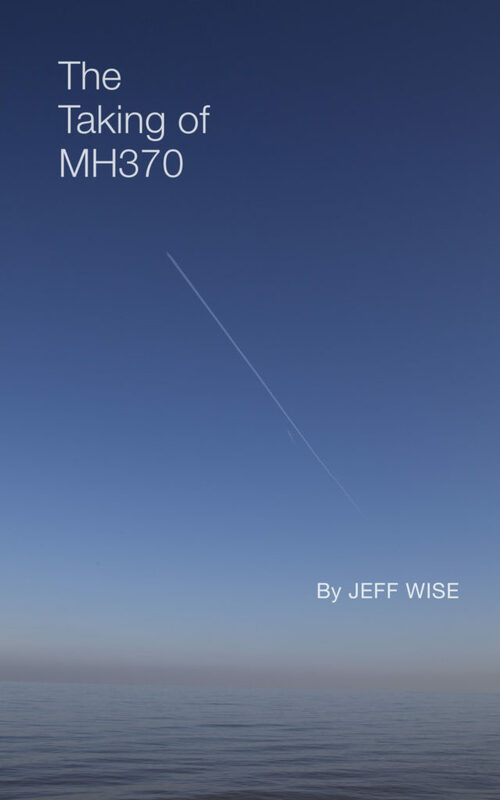 The best source for the details about the DTSG model is the book by Neil Gordon and others from DTSG titled “Bayesian Methods in the Search for MH370.” I assume this is what you mean. This is posted to the ATSB website. I reviewed the first draft posted to the ATSB website. I provided comments to DTSG when they published the draft for the book but got no response. I followed up with a note to Chris Ashton from Inmarsat and he responded to me and provided me with other contact information for DTSG – but still got no response via that path. So I tried to actually help with the modelling but failed. While I am not an expert on the particle filter approach for dealing with this sort or probabilistic problem, I conceptually understand it and I have performed complex Monte Carlo simulations for other problems. My concerns are with assumptions in chapter 6 on aircraft cruise dynamics and chapter 7 on aircraft maneuver dynamics as summarized in section 8.3 (on page 60). The model is based on generating many thousands of flight profiles in a Monte Carlo simulation and the particle filter ranks each profile based on the BTO/BFO information. The heat map is only as good as the rules that were used to generate each random flight profile. One major concern is assumption 4 on page 60 of infinite fuel with some post correction proposed. This is what I recommended that they change. They did not seem to recognize that the time to fuel exhaustion is a very separate problem from the route. The stated use of maximum range as a post screen ignores the very critical information that the fuel (with some probability) was depleted exactly at arc 7. No before, not later – but exactly (to some probability). Any route that was ranked only on BTP/BFO probabilies but could fly further is not a viable route. And if a route consumes fuel before arc 7 it is not viable either. The flight endurance is not directly impacted by the route or winds aloft. They should have tried to solve both the route and endurance problem at the same time. Maybe this was not possible using the particle filter. But other methods could have handled this problem and included the requirement that the fuel exhausted at a specific time – subject to statistical models associated with the problem. This is a HUGE error IMO. The Heat map would be different. There model is based on the ghost aircraft model and not a live pilot model. The model for turns is described in section 7.2. These turns happen at random intervals following a statistical model that would be biased to small turns. They eliminated any 360 degree turns – this works against a pilot suicide scenario. Every pilot understand the concept of flight endurance versus range. Clearly when an aircraft goes into a holding pattern, fuel continues to burn and time of flight is consumed, but no forward progress is made. If a pilot assumed that searchers would evaluate the range of the flight on a great circle course in forecast winds aloft, this would allow a max range line to be drawn with an error band – large search area, but it can be simulated. By performing some number of 360 degree turns en-route, this burns off fuel with no progress. This is a simple way to enlarge the search zone and still go deep into the SIO. A suicide pilot with no understanding of the ACARS pings could have just done a few 360 turns. If the aircraft did perform some number of clearing turns (which the model doesn’t allow for) this would move the arc 7 crossing to the north. A heat map for a simulation that allowed for a few random 360 degree turns would be in a very different location. The heat map is only as good as the assumptions used to generate the random flight paths. Figure 9.2 (p47) shows some of the odd paths that they post processed to delete. If they actively included the fuel constraint many of the profiles that has a viable probability at the arc would not be viable at all because of excess fuel. Excess fuel is just as bad a no fuel at arc 7. IMO this is a big modelling error and the lack of even considering intentional 360 turns is also bad. Those are two of my concerns with the model described in the book. Infinite fuel is a problem for ghost aircraft and suicide aircraft scenarios. They should have run a version that allowed for some small number of intentional 360 turns that could represent a suicide mission where the pilot wanted long range but not max range. I have been pondering something foe a while. on reading research notes into previous Inmarsat comparison data that data set is in Latitude & Longitude. As none of us have actually seen the original data set as recorded by ISAT we only have their word that it was recorded in the way they say it did. Which in terms of BFO is time VS HZ. From my own research HZ appears to be relevant to Latitude. I believe the recorded HZ is a percentage value of Latitude. What I am exploring is that the time is accordingly a misunderstood longitudinal value. Kuala Lumpur Airport for instance lies at 101.705E. Which could be misinterpreted as 17:05pm. I am looking at drawing up a potential flight path based solely on BFO following this rough guideline. I think that BTO is viable but only until reboot. Landing, weaponizing and then flying 9M-MRO into the Marina Bay Sands complex ~ first week of May 2014 would have (1) avenged the loss of Osama bin Laden (2) struck at a symbolic target of American/Jewish imperialism (whatever that means). Spoofing of the ISAT data set and spreading disinformation would have been central to this. For whatever reason intent was revealed and the original plan was abandoned. There was a need to make it look like an accident and whilst superficially believable on deeper analysis it has the makings of a B grade movie script. Serious questions remain about provenance of the debris, drift analysis etc etc and oh yes where is that French report into the flaperon. Failure of the primary plan necessitated refunding of substantial funds from 1MDB.The latter has documented to have occurred but the reasons not given. Pie in the sky stuff I concur but I accept your inferred point from your post that the hijacking for cargo theory, after four years, is dead in the water so as to speak. On a more rational note I’m still trying to get my head around your most recent post. That’s all fine but only pertains to the older 2015-2016 search. For the recent OI search, priority was given to search Arc7 all the way up to about 25 South. I agree with you, more could be done with modelling to predict flight paths. It is frustrating that everyone who develops a nice MH370 flight path model then proceeds to run their model based on their personal assumptions, generally assuming passive pilot flight. But part of the rationale for making assumptions is that an “open-minded” model basically just says MH370 is somewhere on Arc7, which does not help too much. But still we should try to explore more open models. I have been following the discussions about how 9M-MRO could have been taken and hidden in a northern country, the aircraft SATCOM systems hacked, the Inmarsat data hacked, and bogus wreckage salted. Certainly a very complex and sustained conspiracy. Definitely a great movie – true or not. And I don’t take sides in that debate. I appreciate that some terrorist organization could want a large aircraft to attack some target such as he Marina Bay Sands complex. I fully accept your purpose and others – all variants of the 9/11 hijack model which clearly happened. It just seemed that taking 9M-MRO with lots of passengers was a very complex way to just get a large aircraft if all you need as a large aircraft. There is an active market for used large transports – lots of 747s. I know a person that purchased a 707 that was flown to MIA with drugs and captured by the US DEA and then auctioned. He purchased it for the large and legitimate aircraft servicing company for which he worked, serviced it, and then resold it to a legitimate company. (This was in the 1970’s) The same 707 appeared again in another DEA auction with only 10 more hours on the clock. The title had changed many times after he first sold it. He bought this same 707 again, serviced it after its 10 hours of flight, and resold it in a legal sale. His company CEO stopped this practice after the same 707 appeared in another DEA auction. My observation was that this is a very complex way to just get a large transport unless there was some very specific reason to get exactly 9M-MRO for that specific MH-370 flight. And I have seen people make cases for why that specific flight. I agree that the book was used for the original search and not the OI search which gave consideration to the drift modelling. While there are arguments for 9M-MRO being a ghost flight after the turn back toward Panang, I think it is very likely that this is a well planned suicide mission. Even without knowing about Inmarsat pings with ACARS off, a pilot would know that executing a few 360 degree clearing turns would mess the range-endurance simulations. IF the objective is to hide the plane it makes sense to exhaust fuel at less than the maximum range – this expands the search area. The Inmarsat data reduces it, but without even considering a few large 360’s enroute, this can significantly swing the impact area. I don’t know where the arc 7 crossing would be for one random 360, two random 360, etc. How would this compare to the OI zones. Most of the recent suicide consdierations has been about glide versus dive entry – a live pilot may have even preferred a dive. My concern is intentional en-route 360s. Thanks for your comments. I think the reason for that particular flight choice is what @Jeff Wise alluded to – it was a easy target. A red eye flight with passengers wanting to go straight to sleep would be easier to ‘control’. Also if there was intent to land in the vicinity a longhaul flight to Europe would require a fuel dump which at sea may be seen on a satellite. Though bunker fuel is easily seen – not sure about kerosene though. Believe me the Captain hypoxic suicide and lithium battery fire were topical early on but along with the mangosteen cargo theory they are all gone. Pilot in control until the ‘end’ is still topical and possibly correct but not in the way being discussed. One wonders if 1MDB and 9M-MRO are on the same page. Time will tell. Unless it was deliberately ignited and burned off, as I have previously suggested (at the other place, see #comment-16717). Interesting thought on 360 deg clearing turns, is that the same as a holding pattern? But any turns would be difficult for tracking. I agree the conventional wisdom that the pilot was oblivious to tracking possibilities (eg; from satellite coms/telcons) is worth questioning. Nobody knew what Inmarsat was going to do with the data, but to suggest an educated pilot might not have some curiosity about what might be possible seems iffy. Here is a picture of fuel dumping. I’ve never heard that could be ignited. My thought if fuel was dumped, before sunrise would prevent visible contrails. Deliberate ignition is speculation on my part but I do think it is possible. However ‘contrail management’ is very much in play as far as I am concerned. To me the issue is how to make an aircraft un-noticeable or look sufficiently different to a lay observer on the ground that their sighting is discounted. The number of visible contrails, or indeed the lack thereof, obviously have their part to play. This is a non-issue, as far as MH370 is concerned, as all the many eyewitnesses who did come forward were ignored by the accident investigators. Indeed, one witness was so convinced he’d seen the plane that he wouldn’t stop pestering the authorities and he eventually lost his job. White is the new black. The pilot would not want a fuel slick, so it makes sense to burn off the fuel. He can burn fuel without distance by just making some 15 minute 360 degree turns. Each turn takes off 100 or so miles of range. The Inmarsat data greatly simplified the arc 7 fuel exhaustion, which the pilot did not know. But the uncertainty along the arc 7 would be significantly changes if the pilot did perform turns. This scenario was not considered by DTSG. If these turns were made the location moves north – maybe closer to the drift models. Holding patterns are formal ATC oval patterns. My approach would just be a very wide 360 degree turn from time to time lasting 15 minutes or so each. Nothing to do related to tracking. The entire purpose is to break up any useful value for Boeing route simulations – all made useless by these turns. Sure, but a putative bad actor would not know in advance that the investigators would be so, shall we say, ‘dismissive’. Most accept that the early flight along a FIR boundary was deliberately done to reduce radar operator ‘attention’. So, actively reducing eyewitness attention and/or probability of identification should be considered in my view. There may be more actual eyewitnesses out there who have not come forward because they did not see what they would have expected MH370 to look like. Parallels between Diego Garcia, Crimea and the new artificial islands built by China in the South China Sea. Diego Garcia is the largest island in the Chagos Islands chain which is governed by Great Britain. The Chagos Islands originally belonged to Mauritius, but just prior to independance from Britain in 1967, the British split Chagos islands from Mauritius, and began to govern it as the British Indian Ocean Territories. The native inhabitants were exiled to Mauritius, and the island handed over to the USA on a 50 yr lease to house a military base. During the Cold War, and afterwards, Diego Garcia has increased in geostrategic importance to the US military. The USA does not want to relinquish exclusive control of this island group and in 2016 renewed the lease for another 30 years. However, this extension of the lease was contested by Mauritius, which took its case to the UN general assembly in 2017 where it won decisively. Mauritius argued the UK signed a decolonisation treaty in 1950 under which the splitting off of the Chagos Islands from Mauritius prior to independance was illegal. Many states which would have been expected to side with the UK & USA on this issue abstained from voting. Significantly, India which is the regional power in the Indian Ocean voted with Mauritius against the UK. India is seeking to get concessions from the USA in exchange for the latter’s continued presence in Diego Garcia, which is desirable for both parties due to China’s expanding presence in the Indian Ocean. There are some striking similarities between the US-UK arrangement in Diego Garcia and the Russia-Ukraine arrangement in Crimea prior to 2014. The Russians expected the Ukrainian govt. to extend the lease of Sevastopol which was coming up for renewal sometime before 2020. Sevastopol in Crimea strategically controls the Black Sea for Russia. But after the Maidan revolution of 2014, Russia was at risk of losing Crimea to a pro-EU Ukrainian govt. – Whereas the pro-American British govt. obliged the US request to renew the lease on Diego Garcia in 2016, the post-Maidan anti Russian Ukrainian govt. looked to end Russian presence in Crimea. Thus, Russia invaded Crimea to retain its control of the peninsula and maintain regional hegemony. – Both Diego Garcia and Crimea served as geostrategic military outposts for USA and Russia respectively. – Not unlike the British who exiled the native Chagossians from Diego Garcia, Russia too expelled the Tartars and now Ukrainians and populated Crimea with majority Russians. – Both USA and Russia had their respective long-term leases come up for renewal in the 201X’s, and the renewal of the leases were contentious and disputed by local and regional players. It worth pausing to ponder the somewhat hypocritical attitude of USA & UK towards Russia’s invasion of Crimea in the face of the legal contortions that the Brits went through to renew the lease agreement of the USA in Diego Garcia. Russia’s agressive moves in the Crimea to assert control of the region and USA’s renewed presence in Indian Ocean gave impetus to China in the summer of 2014 to move on its own agenda of asserting control over its backyard by building artificial islands in the South China Sea. These islands would serve as strategic military outposts designed to intimidate neighboring countries which contested these waters. Any aircraft or vessel approaching these islands will now have to identify themselves to the Chinese PLA Navy. This is very much similar to what happens to vessels and aircraft approaching the US Navy base in Diego Garcia, which is closed to civilian traffic. 2014 was a year of significant reallignment in the geopolitics. Russia lost Ukraine but kept Crimea. China followed suit by asserting control of the South China Sea, and contesting the US for regional influence. Both players are seeking to challenge the unipolar world that was created after the Cold War. But in 2016 USA renewed its lease in Diego Garcia and continues to maintain its geostrategic power projection throughout the world. It is in Russia’s interests to showup the hypocrisy of the US towards Russia’s annexation of Crimea by pointing to the USA’s ongoing military presence in Diego Garcia. Sending a civilian airliner hurtling towards Diego Garcia with the almost certain assurance that it would be brought down by the US Navy is a cruel but brilliant tactic to distract attention away from Russia’s own military adventure in Crimea, and remind the world of USA’s own ‘Crimea’. Getting more than a hundred Chinese civilian passengers killed by the US Navy is a surefire way of forcing China to move away from its incremental and cautious approach to contesting the US Navy’s presence in the Western Pacific, towards a more aggressive and overtly militaristic approach. And the saying ‘an eye for an eye’ is true in the case of the USS Fitzgerald & USS John S McCain both of which collided under suspicious circumstances in the South China Sea with civilian vessels, resulting in the loss of nearly 20 sailors from the very same US Navy which could have been involved in the shootdown of MH370 near Diego Garcia. It will be very difficult to find the plane! 3. MH17: depends on whether it was targetted intentionally, or unintentionally. According to Bellingcat, MH17 was hit from a BUK TELAR operating in stand alone mode without the Snowdrift radar or C&C vehicle, and was probably operated by experienced ex-soldiers, and not the current members of the unit. There was also a report that since the TELAR was operating in stand alone mode there would have been spotters assigned to find targets. One such spotter had called by phone and said ‘there is a birdie coming your way’. If MH17 was intentionally targetted, then one can speculate that MH17 was brought down by Russia as a public response to the shooting down of MH370 which was hidden from the public by USA/UK. But there is one significant difference between MH17 and MH370. The passengers on MH370 were already dead due to depressurization by the time it was brought down by USA/UK, whereas the passengers in MH17 were still alive when it was hit by the BUK. How then can we explain that parts of the plane were found on the south arc / Were they planted ? By whom ? There doesn’t seem to be a comment from you that initiated @Jeff Wise’s response? Now that one of the possible heads of a criminal attack against MH370 is finally in jail, we have a very important lead. Razak and the 1MDB fraud. Some of the hottest questions in the early stages of the disappearance could only be answered, if a lead was found into the upper floors of the MY Government. The questions why no jets were started at Butterworth to trace the rogue flight, or why the HCM controllers were given flat wrong information of the whereabouts of the plane in the early stage. These things could only happen, if mighty persons in the government ordered it. Now as we somehow understand the scope of the crimes of Razak, we can try to understand, how he might have profited from the disappearance. @CosmicAcademy, Also worth pointing out that Malaysia has previously refused to blame Russia for MH17, and that the Netherlands and Australia didn’t give Malaysisa advance notice of their intention to declare Russia responsible apparently because they didn’t trust it not to leak the information to Russia. I am quite sure I speak for all MH370 junkies when I say that it is beyond sickening to see next of kin denied actual proof of the evidence used to support official narratives about MH370’s fate. But heartwarming to see him continuing to push hard to increase public awareness of the “fracture zones” in the official story. It redoubles my own resolve to document this tragedy relentlessly. @Brock I agree. Also, I think this man is able to uncover something new. I hope he will have opportunity to meet with current government officials. It does seem that during the transition of power, the incoming government learned something that caused them to call off current search efforts quite abruptly, contrary to a campaign promise to continue. Why? The NoK are understandably upset about the MH370 accident and its handling. I agree that pressure from the NoK may help to disclose more facts. The official narrative (or at least the proposed official narrative) will be Malaysia’s final report which we are waiting for. There have been some leaks suggesting the final report will give a list of possible accident causes, including pilot hijacking and cargo mismanagement. It will be interesting to see if the new gov’t changes the report, but reportedly the draft report was circulated to the joint task force before the OI search started. @Tbill: What do you suppose was there in the cargo which could have caused the plane to disappear? Pending official release of the accident report, I can only speculate that the lithium battery shipment is the main concern. The purpose of the report will reportedly be to list possible MH370 accident causes and, based on that, suggested corrective actions for each possible accident cause. I agree that the search relied far too heavily on speculation derived from Inmarsat signals that were never designed to provide that level of specificity with regard to Global Positioning – and I too (not that anyone would have reason to listen to me) have been saying this since day one….so this isn’t entirely monday-morning-quarterbacking. The entire search was plagued with faulty assumptions….remember the first days after the disappearance when suddenly it was revealed that the search planes had been looking in the wrong ocean? It seems like there’s a great deal of stubborn-ness among those involved from the investigation since the outset. It’s one thing to be unwelcoming of ideas that violate established facts….but someone actively seeking truth needs to be welcoming of ideas that may violate their close-to-the-heart assumptions. We still don’t have the plane – which means that the assumptions made thus far are wrong. It seems clear to me that means you need to throw out those faulty assumptions and start over ONLY with what you KNOW TO BE TRUE. I hope that those who lost loved ones in this tragedy don’t stop pushing for the answers and closure they deserve. On July 15 2009, the Pelindaba Treaty, which established Africa as a nuclear-weapon-free zone, finally entered into force. The treaty is the latest regional agreement to ban nuclear weapons in its area of application. The US signed the treaty, but failed to ratify it. China, France, and Britain have ratified them. Although all of the participating African countries agreed that the Chagos Islands should be included in the treaty parameters, the British Foreign and Commonwealth Office (FCO) did not, stating that it had no doubt as to its sovereignty over the British Indian Ocean Territory, and upon signing the protocols noted that it did “not accept the inclusion of [the Chagos Islands] within the African nuclear-weapon-free zone” without consent of the British government. This explosive hazard may also be a reason why Diego Garcia’s former inhabitants – who were forcibly expelled and made refugees in the 1960s and 1970s – are being prevented from resettling in their former homeland. If an airplane such as MH370 were to crash into the ships anchored at Diego Garcia, it could trigger a ‘catastrophic’ explosion! c. Defense of Diego Garcia is the responsibility of UK! Did the UK authorize the crash of MH370? Acccording to the CIA World Factbook, defense for the British Indian Ocean Territory (BIOT) including Diego Garcia is the responsibility of the UK. The UK has Coast Guard vessels based in the BIOT. So neutralizing any threat to Diego Garcia would probably have to be authorized by UK/British military based in Diego Garcia. Could this be the reason for US/UK silence on MH370? – Was the SATCOM reboot and the pings after 18:22 a fiction created by Inmarsat under instruction from UK? – Was Ocean Infinity search created by UK as a Red Herring? Something that’s sticking in my side. Can anybody run a voice oscilloscope thru the last of the voice recording? I may be way off, but it seems that the final “Goodnight MH370” is a completely different sound register. To me the accent is completely different. Edward Baker has been looking at the voices. You can google his Twitter blog. I think the main thing Ed is wondering is if the FO made the next to last radio call. Seabed Constructor has sailed from Dampier a few minutes ago.